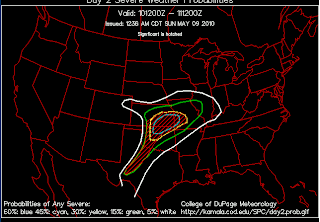 SUPERCELLS WITH LONG-TRACK TORNADOES AND VERY LARGE HAIL ARE EXPECTED MONDAY LATE AFTERNOON AND EVENING ACROSS PARTS OF CENTRAL AND NORTHERN OKLAHOMA, SOUTH CENTRAL AND SOUTHEAST KANSAS, AND SOUTHWEST MISSOURI. 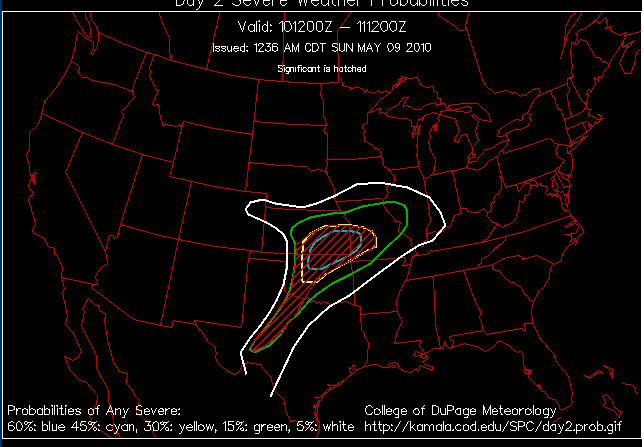 If you live in the area enclosed by the yellow line on the map above please pay attention to the weather tomorrow! As previously stated, I will be on the book tour tomorrow and doubt I will be able to update this forecast.